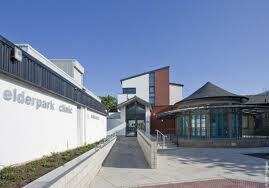 Govan Health Centre is a 10 minute distance from the ‘heart of Govan’. It is a health centre which contains a variety of medical services. Furthermore, the centre also provides disabled access which is useful for many patients as it on a Ground floor premises. Govan health centre is close to other dentists in Govan such as us, Govan Dental Care that is situated directly on the Govan Road and is seconds away from the Govan Subway station. The Health Centre also has dentists that deal with referrals from Govan Dental Care. Although you may be seen at Govan Dental Care for regular treatment, often specialist services may be utilised at the health centre. Govan dental care is a first floor dental practice however we offer domiciliary care to our elderly patients and make a time to visit their home for an appointment when it suits them; this is very popular with our loyal patients that wish to stay at Govan Dental Care. In an emergency we are available to see you on the day and try our best to keep all of our patients happy. For any queries you may have or if you wish to make an appointment please arrange a FREE consultation with us at Govan Dental Care by calling 0141 445 1829 or by BOOKING ONLINE at www.govandentalcare.co.uk.